Pre-test all spotting solutions in an inconspicuous area prior to using on any fabric to make certain the solution will not alter the fibers or damage the texture of the fibers. Dye bleeding will show up on the towel. 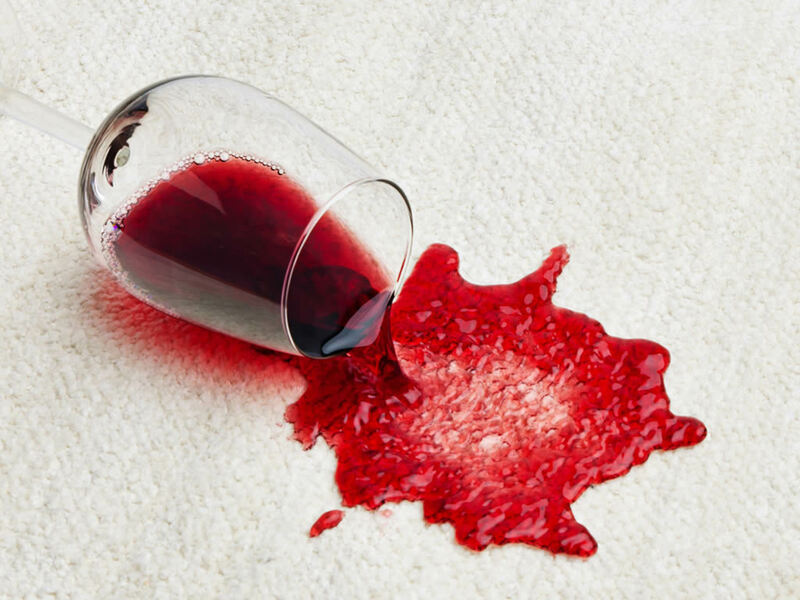 If any dye transfer or damage becomes visible you should contact a professional technician to clean up spills unless you plan to use nothing but water. Act quickly; many spills can be removed if immediate action is taken. The longer you delay, the higher the probability of a spill becoming a permanent stain. Remember, staining is influenced by many factors, and no carpet is completely stain proof. You’ll need a few items first, it is usually better to have these items ready before you ever need them. Several white terry towels, paper towels (or a wet-vac), 4 trigger sprayers, a pail and sponges are a good idea also. From the chart below pre-mix the solutions and place into the sprayers. Label them for quick reference. The solutions you want to have ready are detergent, ammonia, vinegar, and plain water. Don’t forget to have a liter of Club Soda as well. Blot liquids with dry, white, absorbent terry towels or white paper towels, until all of the spill is absorbed. (Or use a wet vac) Do not scrub the area! Scrubbing may cause pile distortion. For semi-solids, gently scrape up with a spoon. Dry solids should be broken up and vacuumed out prior to treatment. Mud is usually best left to dry, then vacuumed and spot cleaned. Locate the substance in the spot removal chart and follow the directions carefully. Rule of thumb here is to use the first solution for immediate removal or until no more stain/spot transfers to the towel or upon removal, then proceed to the next solution in the chart if the stain persists. Apply a small amount of the selected cleaning solution to a white cloth, and work in gently. Work from the edges of the spill to the center to prevent spreading. Do not scrub! Blot! Absorb as much as possible, and repeat if necessary, always rotate your towel using a clean area each time you blot or apply more solution. Continue in this manner until the spill is completely removed. Patience is required, as some spills take longer to be removed than others. After removal is complete rinse the area with cold water and blot dry. Failure to rinse all of the spotting solution may result with residue being left behind. Dry the area completely with a clean towel and apply weight, rotate the towel until dry.